Julian Assange was brutally arrested by UK Police today after the Lenin Moreno administration removed his political asylum. 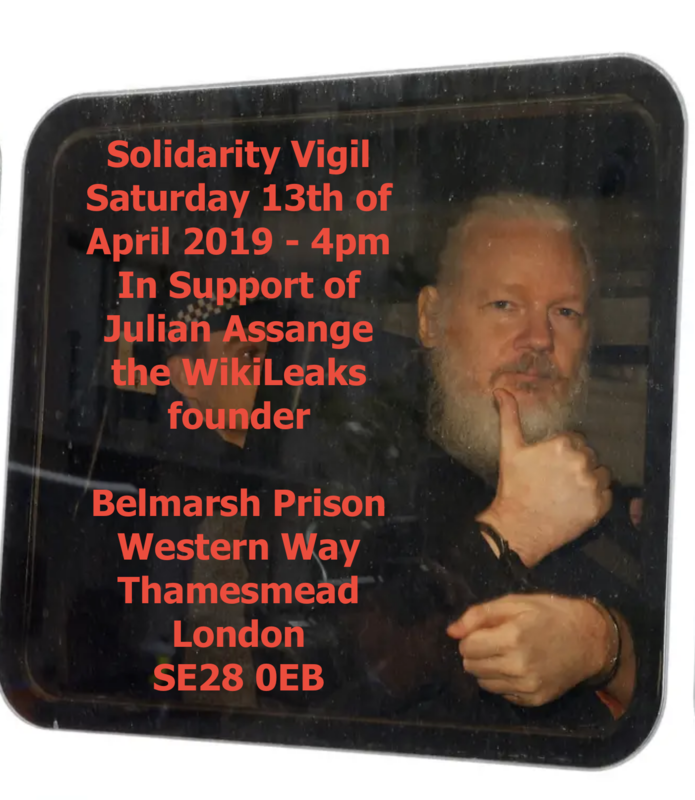 The real fight begins now for the those who support the right to publish truthful information and the freedom of Julian Assange. 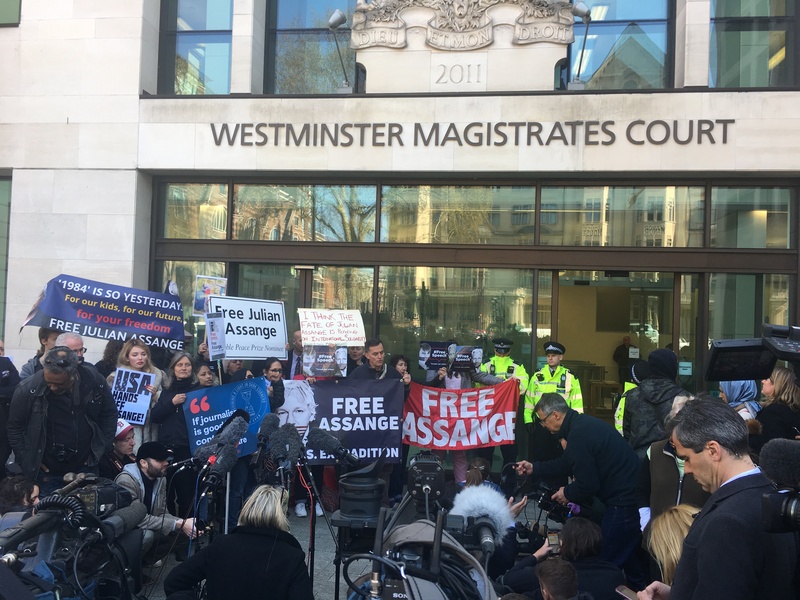 We gathered outside Westminster Magistrates Court in support of the WikiLeaks publisher. 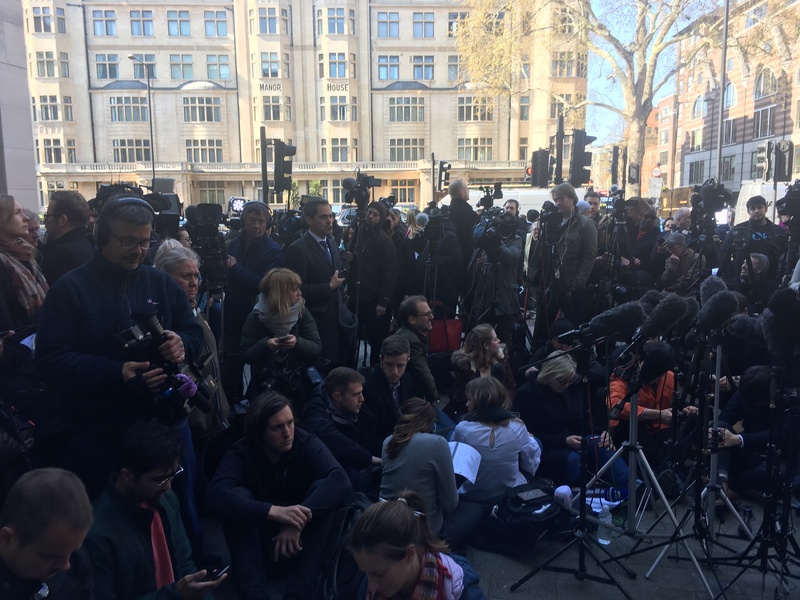 Whilst the world’s media awaited statements by Julian Assange’s Lawyer Jennifer Robinson and Editor in Chief of WikiLeaks Kristinn Hrafnsson. And at Parliament Diane Abbott, Shadow Home Secretary spoke eloquently about the importance of whistleblowers, the contributions of WikiLeaks in revealing war crimes and that her side of the House would be very concerned about a US extradition for Julian Assange. And Leader of the Labour Party Jeremy Corbyn backed her words in Parliament with an unequivocal statement of support. “The decision of the Ecuadorean government to hand over Assange to the UK police is a clear violation of his Ecuadorean citizenship and asylum rights. Ecuador has failed in its duty to protect its citizen. “Assange’s arrest will put him at risk of extradition to the US, where he will very likely face charges that could see him jailed for 30 or more years. A secret grand jury has been convened to prepare an indictment against Assange and key Trump officials have said that prosecuting Assange is a priority. “Assange did not leak anything. He published the leaks of Chelsea Manning, as did The Guardian and New York Times. Why is he being signalled out? “Assange published evidence of American war crimes. He’s a hero, not a criminal. “The British government should refuse to do the bidding of the Trump administration. It should give public assurances that Assange will not be handed over the US authorities. His extradition to the US is not in the public interest,” said Mr Tatchell. Gallery | This entry was posted in Assange, Belmarsh Prison, WikiLeaks and tagged Assange WikiLeaks, Belmarsh Prison. Bookmark the permalink.